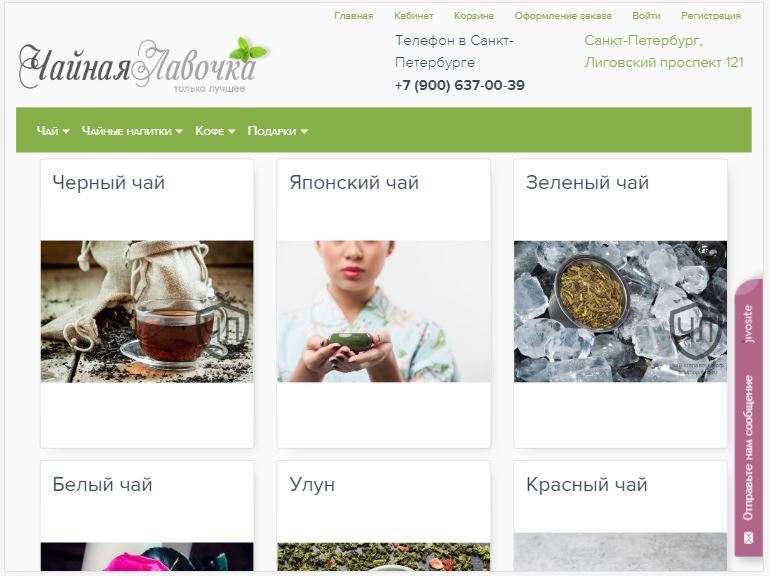 Online store Teashop. Turnkey project - design, legend, products, unique texts and photos. Platform - OpenCart. 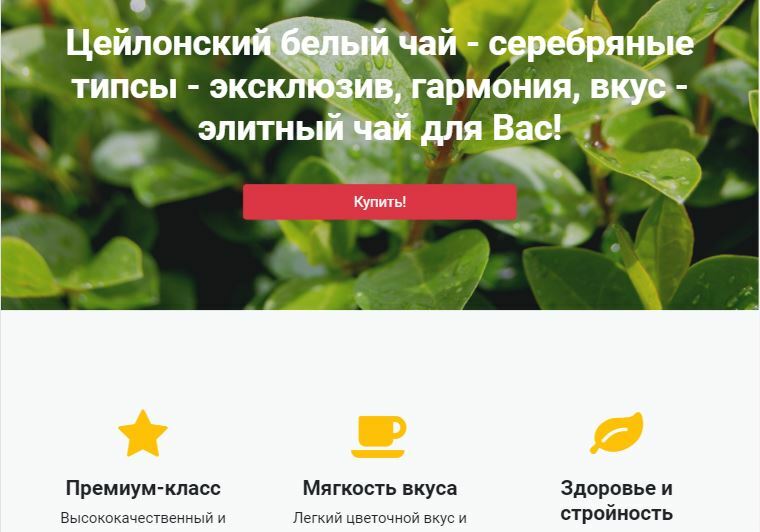 Landing page for the product. Design, text, image selection. 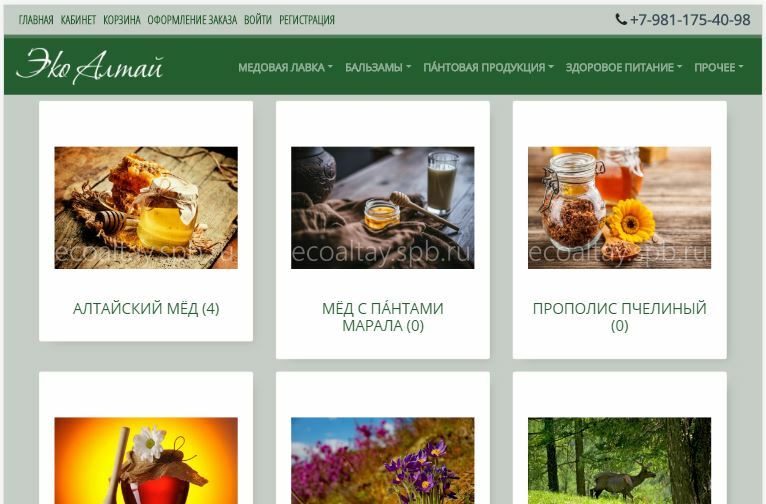 Onlinestore "Eco Altay". Turnkey project. OpenCart platform. Design, legend, products, the selection of photos.